What is Source Inspection and How Does it Help You? Source inspection is your best defense against risk and serves as the first step in keeping quality control in check across a diverse supply chain. For our aerospace and defense clients, source inspections are essential to maintaining regulatory compliance, avoiding counterfeit parts and running a leaner, more profitable business. NTS dispatches local technical specialists to perform source inspections and assist suppliers in identifying and preventing nonconforming product. This can help you improve quality, increase reliability, mitigate risk and significantly reduce costs (for example, with NTS specialists on-site, you avoid the costs of travel and other overhead expenses). Improved ability to produce parts on a short lead time — an increasingly critical factor in an industry where the “just in time” delivery model is the new standard. Increased clarity about how your products appear to end users — and the unique value proposition they offer. Without regular source inspections, you may lose perspective on the nature of your product and risk losing business to more proactive competitors. Greater, quantifiable insights into the inner workings of your production processes. Source inspections provide business intelligence that can be used to streamline your operation and build a nimble, yet revenue-rich business from the supplier level up. Reduced liability thanks to increasingly detailed reporting and a more transparent supply chain. 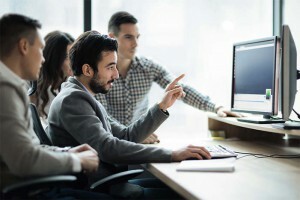 With the risk of an expensive and reputation-damaging recall minimized, your organization is better protected against fines and other potential penalties. Decreased future cost outlay caused by product noncompliance, warranty returns and other issues. Source inspections confirm that your product is built to exact specifications, and that it will perform to your end users’ expectations well into the future. Enhanced ability to explore new business opportunities without stressing key resources of your organization. Source inspections are part of the continuous improvement cycle. As a result, NTS can position your organization to grow in a more sustainable manner. 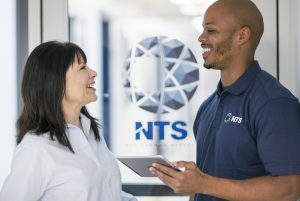 NTS can use source inspections of various kinds to inspect the quality of prototype components and their tooling systems prior to a production run. We can leverage source inspections to confirm the fidelity of a part to your original engineering drawings. And some clients rely on our source inspections to independently test subassembly components before integration into a finished assembly. NTS clients range in size and specialization, and they include a cross-section of some of the aerospace and aviation industries’ most prominent OEMs. We work closely with each client and their suppliers to create auditing programs with clear objectives and detailed timelines for achieving them. We can provide one-off services or implement a comprehensive supplier-funded program that empowers partners to self-certify under the supervision of our technical inspectors. Our source inspection services can be designed to address a persistent problem; or to proactively improve the overall efficiency and quality control of your supply chain. What sets NTS apart? Unquestionably, it’s our people. No other company in the business strives to staff a more dedicated, experienced and credentialed global team. Our technical specialists have an average of 20 years’ experience in their respective fields, and our talent pool includes aerospace engineers and other subject matter experts. Have a project coming up? Request a Quote now. Our team will review your specs and generate a quote to address all your source inspection needs.